We've launched six new designs to our ever-popular GeoMet collection. Since the GeoMet brand was launched it has become renowned for its colourful and contemporary seats, planters and water features, which have taken centre stage at many prestigious events and venues, such as RHS Royal Chelsea Flower Show and Wembley Park, London. "It became clear that Ben has a very strong talent for design, so we challenged him to create new pieces for our GeoMet collection. We were keen to support Ben through the process and to invest in bringing his designs from concept through to production." Ben created over 100 designs which were eventually whittled down to his top 15, after several meetings with staff at Sui Generis. Ben also worked with the production team that create furniture moulds to understand whether each of his designs would be practical to manufacture. Thanks to their hands-on advice and feedback from the board, the top six seats were chosen. "I was tasked to design a new module for Sui Generis's current range. I was given free rein over what I designed, but I wanted to give a new look and style which also complements the existing range. It's a student's dream to see your designs go from paper to production!" He continued: "My work experience with Sui Generis has been an amazing opportunity. I've been supported every step of the way and I've learnt so much. I've worked in the factory with the seating teams and helped to create the final moulds for the composite seats. It's also been really interesting selecting the wooden materials for the slats on one new statement seat. The new seats look amazing I couldn't be more pleased." Employee engagement is high on our agenda and the new designs are thanks to a collaborative approach. To keep staff involved in the design to production process we held a competition for staff to name the new seats. The highlights of the collection include 'Urban' an uber-contemporary, clean-lined composite base seat topped with oak slats to give a softer edge, which is ideal for large open or waiting areas. The chunky Urban seat is available in 1m or 2m sizes and can be positioned as a standalone seat or in linear pairs or group arrangements, which are ideal for large open or waiting areas. 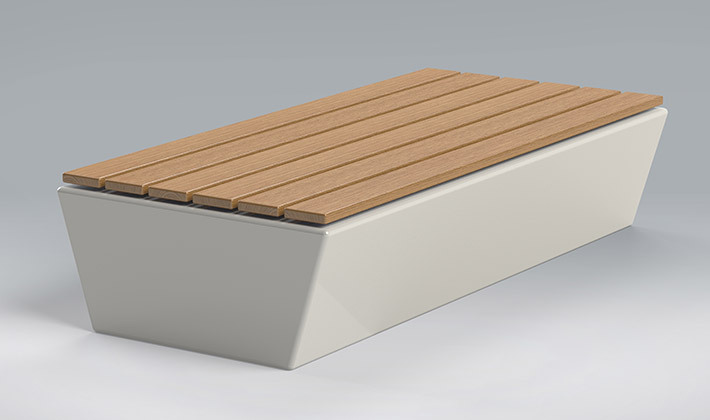 The composite base can be manufactured in any colour and the oak slat-top can also be produced in GRP and can be made in a variety of colours. 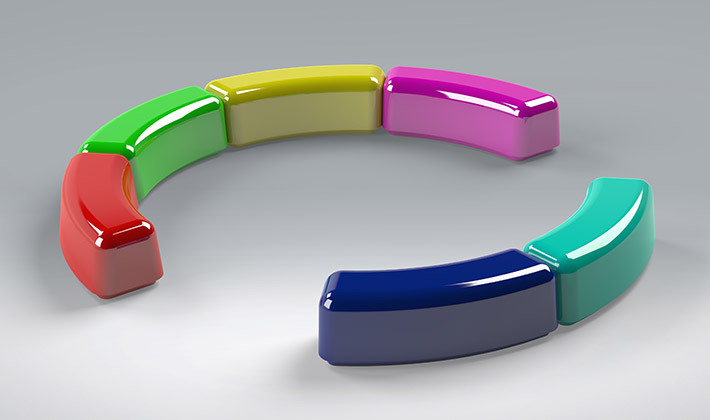 A fun addition to the range is 'Arc' a colourful modular seating design which fits together to create circular designs and is ideal for child-friendly environments, such as schools, and playground facilities. Arc benefits from bright mix and match colours, smooth curved edges and a sturdy wide base. Other products in the new collection include 'Island', a cleverly designed seat which can be joined together with a planter insert, to create a stylish 'island'. Both 'Cubist' and 'Twist' designs are a fresh take on a classic box-style design. Cubist offers an ergonomic design with lower back support, whereas Twist offers a seat and table option, which are ideal for visitors to work on their laptop or tablet at exhibition meeting spaces or airport lounges. 'Pompidou' adds French design and fun to the collection with a 1.2m ellipse-shaped seat, which creates a lounge feel and gives a 'pop' of colour to large spaces. 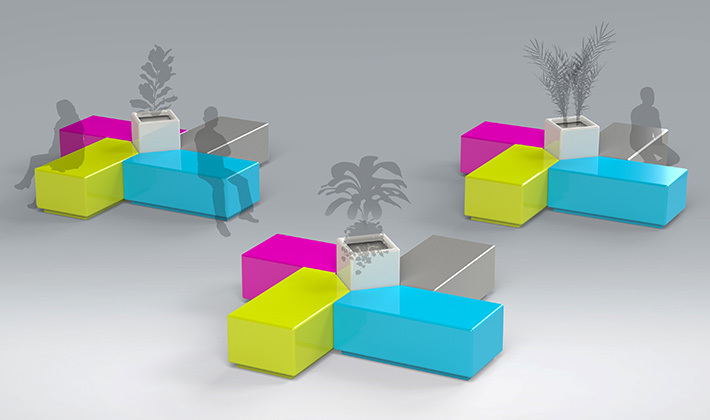 The new collection includes Island Seating, a cleverly designed modular seat with a planter option. The new designs are a partnership between the GeoMet team and young Furniture and Product Design Undergraduate, Ben Whittaker. 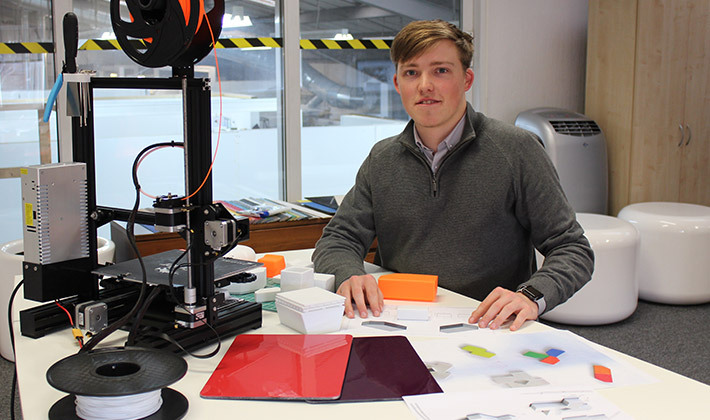 "It's a student's dream to see your designs go from paper to production!" Highlights of the furniture collection include Urban Seating an uber-contemporary, clean-lined base seat topped with oak slats. A fun addition to the range is Arc Seating a colourful modular seating design which fits together to create circular designs and is ideal for child-friendly environments, such as schools, and playground facilities. 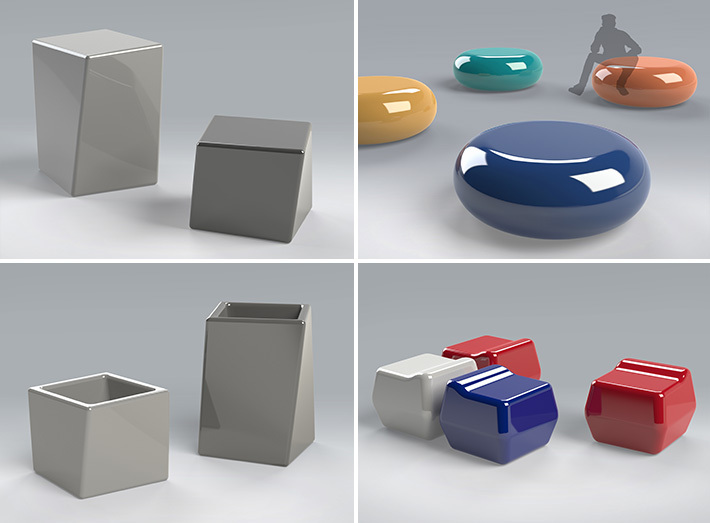 Twist and Cubist seats are a fresh take on a classic box-style design. Pompidou adds French design and fun to the collection with a 1.2m ellipse-shaped seat, which creates a lounge feel and gives a 'pop' of colour to large spaces. "I was tasked to design a new module for Sui Generis's current range. I was given free rein over what I designed, but I wanted to give a new look and style which also complements the existing range. It's a student's dream to see your designs go from paper to production!" Ben Whittaker, Nottingham Trent University.